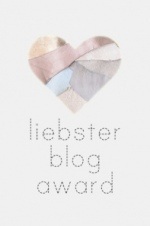 I’ve been nominated for the Liebster Blog Award! Thank You Manu Kurup! I appreciate all my readers, and I nominate all of the up and coming blogs I follow. I don’t mean to minimize the meaning of the award by not nominating a specific few, but anyone who has started a blog deserves this award for making WordPress a charmingly diverse site for all of us to enjoy. I’ve read and shared some great blog entries on this site, and I’m happy to be a part of the WordPress community. I feel honored that people read my blog, super honored that people actually enjoy it, and super duper honored that someone felt it was award worthy! And that person is Manu Kurup!!! Thank you so very much, your support is much appreciated! I hope I continue to write posts that people enjoy on a consistent basis, no matter what I said in yesterday’s post ( When I was younger I Used to Apologize to my Diary…)!! I won’t call it pressure, but I feel encouraged by this sweet little award! So, I will pass this forward, and these are the rules! 1. Thank the person (People) who nominated you and link back to their blog(s). 3. Nominate fifteen other blogs. 4. Notify the fifteen nominees. 1. Again, Thank you Manu Kurup! I’m glad you enjoy reading my ramblings here! A) I’ve been saying forever that I want to go to the movie theater alone (there will probably be a post about this), But I am still apprehensive. I know this is not the case, but it’s ingrained it in my head that I will look like an ugly lonely loser! <~~What’s really ugly are those thoughts. C) I google everything. If I’m on the phone and having a conversation with someone, I’ll google half the things we talk about. Subsequently I find it strange when people ask me how to spell something or any other information that can be found in any computer or smartphone, app, or website. And mostly anything can be found somewhere on the internet. D) Occasionally I cook from recipes and the meals usually come out great, sometimes with some necessary tweaking. BUT, I recently had a wild craving for falafel and I made some, and was seriously underwhelmed. I think it was a bad recipe because they were, for the most part, flavorless and half of them disintegrated in the oil…not fun! E) I’m visiting a new dentist tomorrow and I hope I don’t have a Little Shop of Horrors experience! F) I really wish I could draw (perhaps that’s why I like to color), but I just don’t seem to have the hand/eye for it. G) I love Autumn/Winter and the clothes that come with those two seasons (colors, scarves, hats , boots, coats, etc. !